Kids in Columbus are lucky. 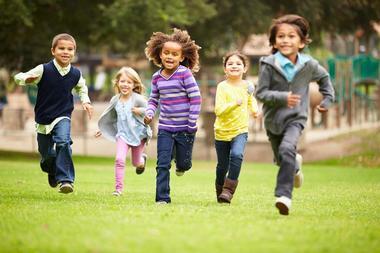 There are so many parks, museums, attractions, and historic sites that there is something for any interest and age. 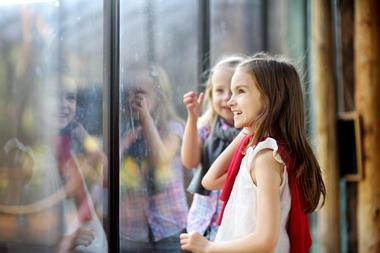 Young art lovers will enjoy browsing through Columbus Museum of Art with its hands-on exhibits, and the Columbus Zoo and Aquarium is a heaven for animal lovers – there are over 7000 wild animals living there. 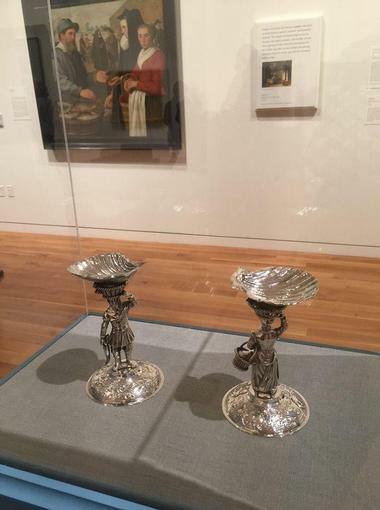 The Columbus Museum of Art is an art museum located in downtown Columbus, Ohio. 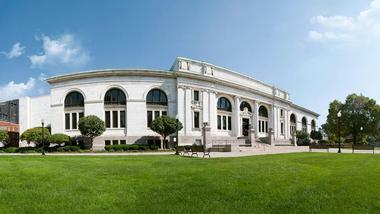 It was formed in 1878 as the Columbus Gallery of Fine Arts and it was Ohio’s first art museum. The museum’s focus is on collecting and exhibiting European and American modern and contemporary art together with glass and folk art and photography. Since 2011, the museum has dedicated 18,000 square feet to the Center for Creativity, which includes galleries, workshop, and gathering areas where visitors can participate in hands-on activities. The museum’s current building, completed in 1931, is located at the same site where the Sessions Mansion, its original building, stood. The Columbus Zoo and Aquarium is located near Powell in Liberty Township, just north of Columbus, Ohio, along the banks of the O'Shaughnessy Reservoir and the Scioto River. 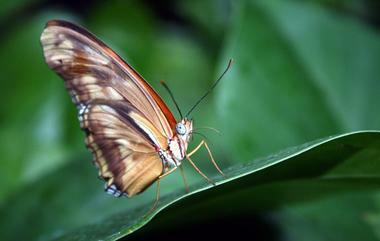 The zoo is home to over 7,000 animals from more than 800 species. The exhibits are separated into eight different world regions. An 18-hole 140-acre golf course Safari Golf Club is also part of the zoo. The zoo also has 23-acre aquarium and water park Zoombezi Bay and 11-acre amusement park Jungle Jack's Landing. The zoo runs a world-renowned conservation program and supports other similar programs, funding over 70 projects in 30 countries. In addition, the zoo also has a working relationship with the Wilds, an animal conservation facility in southeast Ohio. 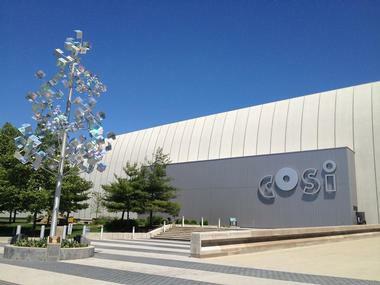 COSI, or Columbus Center of Science and Industry, was established in 1964 with the goal of combining fun with learning about science. It has over 300 hands-on exhibits, the largest Planetarium in Ohio, a big screen theater, and frequent live shows. 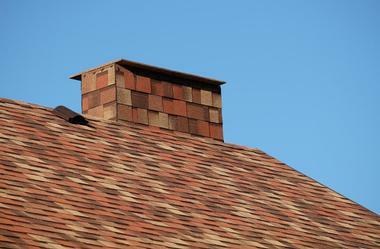 The center is located on Scioto Peninsula near downtown Columbus and the Ohio Statehouse. There is a new 6.5-acre park just west of the museum with a splash pad, picnic tables, playground, swings, and more. COSI’s new Dinosaur Gallery is a permanent exhibit with a full-sized replica of a Tyrannosaurus Rex, a cast of an eight-foot titanosaur femur bone, a 100 million-year-old piece of fossilized amber, and more. Located in a large public park just outside downtown Columbus, Franklin Park Conservatory and Botanical Gardens is a historic botanical landmark as well as a horticultural and educational institution with gorgeous indoor and outdoor gardens, exotic plant collections, exciting nature-based exhibitions, and world-famous artwork. Originally constructed in 1895, the Conservatory is listed on the National Register of Historic Places. The star of the conservatory’s art collection is Dale Chihuly glass artwork with a working glass Hot Shop. James Turrell’s Light Raiment II light installation illuminates the verdant John F. Wolfe Palm House at dusk every day. There are frequent seasonal and new horticultural and art exhibitions during the year. Highbanks Metro Park is a 1,159-acre park in Columbus, Ohio and one of the most popular in the Metro Parks System. The park was named for the 100-foot tall bluffs on the river banks at the southern end of the park. Its most interesting features are the Native American burial grounds that were probably built by the Adena culture. Another archeological site in the park is the Highbank Park Works, four three-foot-high earthworks along a shallow ditch believed to have been constructed by the Cole culture between 800 and 1300 CE. The park also has 11 miles of hiking trails running past deep ravines, an observation deck overlooking the Olentangy River, a playground, a nature center, sledding hill, green meadows, and a lush forest. The North Market is a public market located in Downtown Columbus, Ohio. It is Columbus’ only public market and a great place to shop, eat, mingle, and people-watch. North Market is home to dozens of unique independent merchants and farmers, butchers, bakers, candy makers, fishmongers, grocers, and restaurateurs. It is the place where farmers sell high quality seasonal products grown on their farms and where locals can buy fine art, jewelry, vintage articles, and hand-made objects. 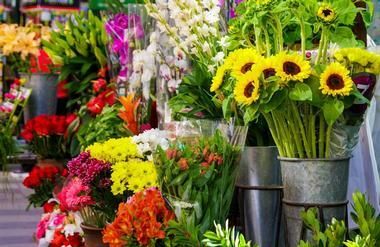 One of the biggest and oldest markets in Central Ohio, North Market is open on Saturdays and Sundays from June to October. The Ohio History Connection, known before as the Ohio Historical Society, is a network of historic museum and historic sites across Ohio, one of the largest in the States. This statewide history organization was established in 1885 in order to encourage interest in the history of Ohio and its rich stories. The Ohio History Connection focused on sharing and preserving the state’s history, including housing the headquarters of Ohio History Connection, the state historic preservation office, the official Ohio archives, local history office, and over 50 museums and historic sites across Ohio. Part of the Center is the Ohio Village, a vivid recreation of an original 1860 town. Ohio Village is an interactive living history museum located in Columbus, Ohio. 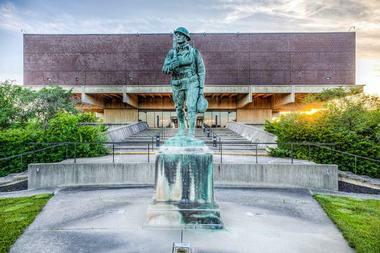 It is part of the Ohio History Center and managed by the Ohio Historical Society. The village offers the opportunity to visualize life in Ohio during the difficult times of American Civil War. It was opened in 1974 on 15 acres and includes 22 buildings, a mix of historic houses moved to the site from other locations, and faithful reproductions. Among them are the Town Hall, General Store and Masonic Lodge, Print Shop, Education Center, Blacksmith Shop, Pharmacy, Tinsmith Shop, Cabinetmaker/Undertaker's Shop, Broom and Basket Shop, Village Bakery, and others. In 1995, a large church was added to allow weddings to be held in the village. One of the most popular events organized in the village is the All Hallow's Eve, a traditional 1860s-style celebration of Halloween. Scioto Mile is an urban green oasis in downtown Columbus that consists of over 175 acres of lush verdant parkland along the riverfront. It stretches from the lively Arena District to the beautiful lush Whittier Peninsula. The Scioto Mile links Columbus downtown to the Scioto River through a system of parks, bikeway,s and pedestrian trails. 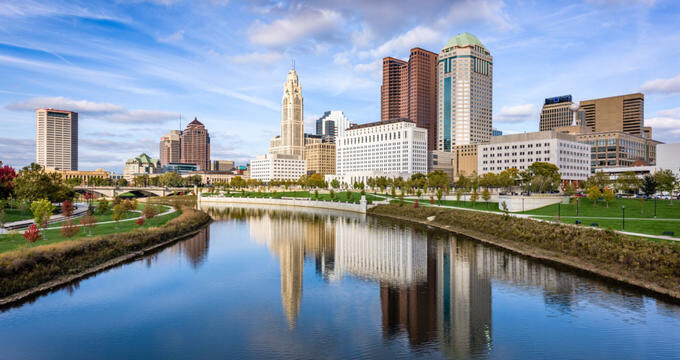 It includes some of the city’s most popular attractions such as a 15,000 square-foot fountain, the largest outdoor climbing wall in the country, and the tranquil 120-acre Scioto Audubon park and bird sanctuary. 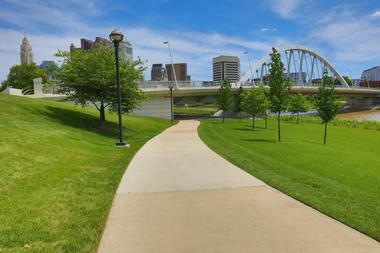 It is easy to see why the Scioto Mile is a favorite green space for everyone in Columbus. In addition to the Scioto Mile, the new Scioto Greenways project added 33 acres of new park areas and 1.5 miles of trails that connect to the Scioto Mile network. Billy Ireland Cartoon Library & Museum in Columbus, Ohio houses the largest and most comprehensive collection of cartoons, comics, and related materials in the world. 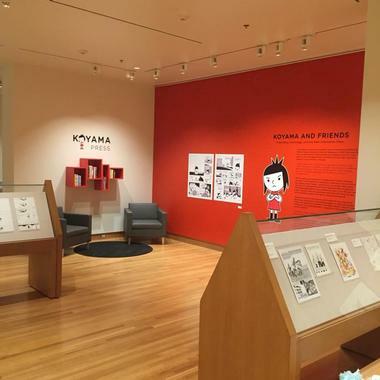 It also has a number of galleries that feature diverse cartoon-related exhibitions open to the public. The museum has over 300,000 original cartoons, more than 45,000 books, about 67,000 serials that include comic books, 3,000 feet of shelves full of manuscript materials, and more than 2.5 million comic strip clippings and pages of newspapers. The museum also has a number of unique collections of manuscripts and original art including the International Museum of Cartoon Art Collection with more than 200,000 original cartoons, the Jay Kennedy Collection, one of the largest collections of underground comic books, and a number of other significant collections. Dirty Frank's Hot Dog Palace is a quirky, fun hot dog spot in downtown Columbus that will grab you with its bright colorful façade and chairs before you even try the dogs that are taking Columbus by storm. The artist Thom Lessner has done all the art, from the colorful logo to the paintings that cover the walls. 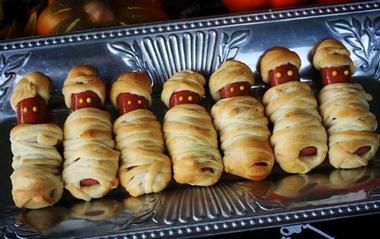 This fabulous looking hot dog palace serves hot dogs you have never tasted before. The classic and best-seller is their Chicago beef dog, but the lineup is difficult to resist: there is a chilli dog with slaw spiked with sriracha, Nikola with tzatziki sauce and green relish, Ohiana with jalapeño corn relish, Seoul Dog with kimchi, and a Bollywood Dog with spicy mango chutney. Add some fries, baked beans, mac and cheese, and cold root beer or a cream soda and you will be a fan for life. 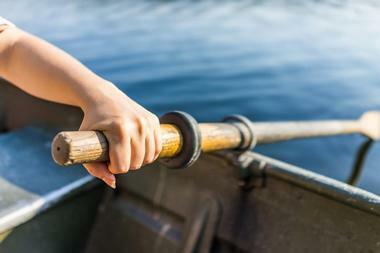 Alum Creek is a large 4,630-acre park in central Ohio just a short drive from Columbus and a popular spot where families like to spend a hot weekend. The main attraction is a cool blue artificial lake, a boater’s and fishermen heaven, but the rolling green fields that surround the lake are perfect for all sorts of other activities for kids and adults. The fishermen can spend a day in quiet coves surrounded by steep shale cliffs while kids and sun-worshipers can have fun on the largest inland beach in Ohio. There is a campground for those who want to spend the night, and it has a boat launch ramp, a playground, its own beach, and a nature center. There is even a dog park with a doggies’ own swim beach. 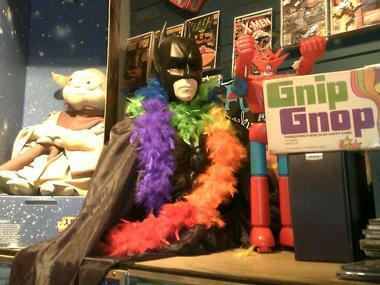 To call Big Fun a toy shop would not do it justice. This delightful toy and collectible store in the Short North neighborhood of Columbus, Ohio is the place where people go to relive their childhood and the times they spent on the floor of their childhood rooms among Transformers, My Little Pony, Star Wars characters, GI Joe, Teenage Mutant Ninja Turtles, and other toys that played such an important part of growing up. The 1,200-square-foot store is packed with racks, shelves, and display cases full of our childhood dreams, including Star Wars of different eras, yo-yos, He-Man, kites, original trading cards, girls’ favorites such as My Little Pony, and so much more. The store not only sells toys but also buys and trades them, and there is always something new. A heaven for book lovers, The Book Loft of German Village is a giant 32-room bookstore located in German Village neighborhood of Columbus, Ohio, just a short walk from the state capitol building. One of the largest independent bookstores in the country, Book Loft is located in a charming red brick pre-Civil War era building situated among similar houses that once occupied served as general stores, a saloon, and a cinema. The Book Loft offers bargain price books, greeting cards, music CDs, posters, puzzles, and DVDs. Delighting Columbus bibliophiles for the last 40 years, the bookstore is the place where they go for the latest best sellers, children books, memoirs, and historic novels. 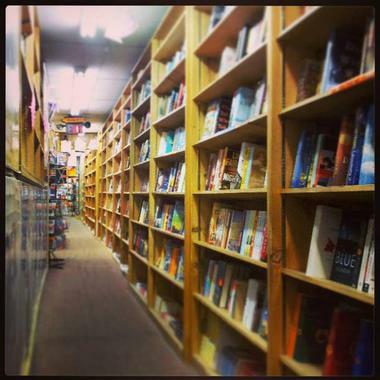 It is the place where one can get lost while browsing through the maze of bookshelves. They even allow small dogs to come with the owners. 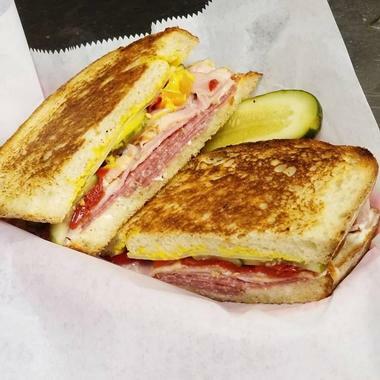 Katzinger’s Deli is a popular eatery in the German Village neighborhood of Columbus, Ohio, serving superb deli sandwiches such as Reubens, matzo ball soup, and smoked fish to locals for the last 30 years. The small, cozy, and unassuming joint is packed during lunch time, and most customers have been coming for years, enjoying the classics from their enormous menu. The décor is simple, with colorful signs covering most of the walls. The shop’s claim to fame comes from the visit of President Clinton in 1990, as described in the prominently displayed cutting from the New York Times. Their gourmet groceries section sells cheeses, breads, wines, and about 15 kinds of beer. Scioto Audubon is a 120-acre heaven for birds of all kinds. 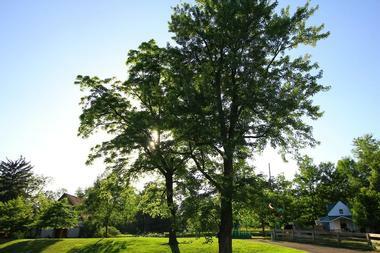 The park is lush, green, and as inviting for humans as it is for wildlife. It is part of Scioto Mile, a Columbus urban green space along the riverfront. Once industrial wasted landscape, Scioto Audubon is now a popular recreational and educational destination for all ages. It has miles of trails for walking or biking, with benches where you can relax and try to spot a water bird or a bird of prey. There is a fun obstacle course to make you sweat, several volleyball courts, a rock climbing wall, and even a dog park. There is a boat ramp for boaters, kayakers, and fishermen. In the winter, there is a sledding hill between obstacle course and bocce courts. Topiary Park is a 9-acre public park in the Discovery District of Columbus, Ohio that includes a fascinating topiary garden. The topiary garden is carefully designed to represent the landscape by the renowned painter George Seurat. As such, it is named “a landscape of a painting of a landscape.” Seurat’s 1884 painting A Sunday Afternoon on the Island of La Grande Jatte is a pointillist masterpiece that has been imaginatively copied by local sculptor James T. Mason and his wife Elaine. He designed the frames and planted the first few bushes while Elaine did the original trimming and trained the city gardeners to maintain them. The garden has topiaries that depict 54 human figures, three dogs, eight boats, a monkey, and a cat. Visitors can see the whole “painting” from the easternmost hill in the park. The Columbus Metropolitan Library is a public library in Columbus, Ohio with a collection of 1,483,433 volumes, circulating 17,262,267 items every year. Besides the Main Library, there are also 22 branches located in various neighborhoods in Franklin County. The purpose of this system of libraries is to inspire reading, connect people, and share resources through numerous activities and programs. The library helps adults with General Educational Development classes, basic computer knowledge, basic learning classes for adults, and more. To attract children and adolescents to the library, there are Homework Help Centers in all library locations. There is also program for children who are home schooled, several teen gaming nights for kids, book groups such the Comic Book Café, Summer Reading Challenge, and the Manga & Anime club as well as many other programs. 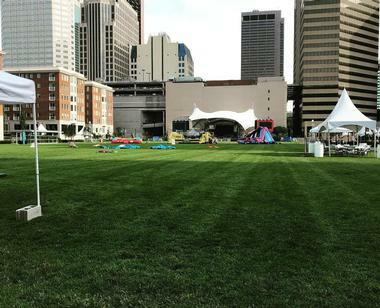 Columbus Commons is a 6-acre park in downtown Columbus, Ohio occupying the space of the former Columbus City Center mall. The park includes spectacular gardens, a hand-carved carousel, a performance stage Columbus Bicentennial Pavilion, a covered pavilion, an outdoor reading room, a large lawn, a small grove of trees, and two cafes. The park hosts more than 200 various events every year. During the summer, from June to October, there are bounce houses where kids can spend some energy, fun performances, the Imagination Playground, all sorts of crafts and games, and on warm days even an inflatable water slide. For Christmas, Columbus Commons turn into a magical kingdom with thousands of lights. Inniswood Metro Gardens is a 123-acre natural woodland and a home to native wildflowers, diverse wildlife and waterways at the outskirts of Columbus, Ohio. 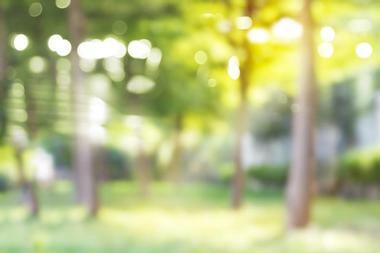 They provide a breathtaking background to the imaginatively landscaped gardens and verdant lawns. Inniswood has over 2,000 species of plants, themed gardens and specialty collections such as a children’s garden, the Rose, Conifer, Herb and Woodland Rock Gardens. The garden was established after Grace and Mary Innis donated their Westerville estate to the city in 1972. Metro Parks provides funding and maintenance of Inniswood Metro Gardens with the help of the Inniswood Garden Society and the Inniswood Volunteers. Jeni's Splendid Ice Creams is a veritable ice cream empire that makes frozen delights so delicious that people wait in line for them even in the middle of the winter. This artisan ice-cream company was established in Columbus, Ohio in 1996, with the first store in North Market. Since then Jeni’s has opened 34 storefronts, and you can buy their treats online or in many stores all over the country. The imaginative flavors and high quality ingredients earned Jeni’s two Sofi Awards and a faithful following everywhere. 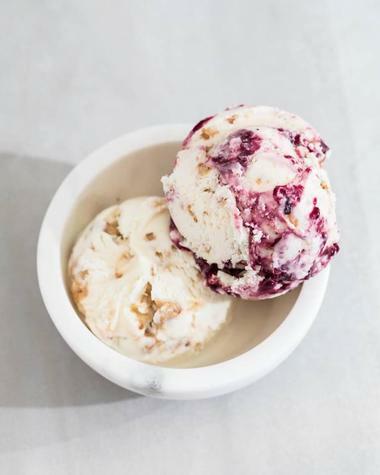 Who could resist a scoop of goat cheese with cherries, wildberry and lavender, Cognac with Gingerbread, or the popular seasonal Boozy Eggnog? Easton Town Center is a popular indoor-outdoor shopping center in northeast Columbus, Ohio. It is designed to look like a small American town from the early 20th century, and it is charming, self-contained, and relaxed. Its streets are laid out in a grid pattern in a continuous loop, with a range of stores, restaurants, cafes of all sizes, fountains, parks, and benches. Many stores look similar on the outside, just as they would on the main street of some small American town. Of course, Easton Town Center includes traditional shopping mall elements such as large, multi-story department stores, a cinema complex with the largest movie theatre in Ohio, a comedy club, small shops and stands located in the common areas, ATMs, parking structures, and more. Easton receives more than 25 million visitors every year. Pins Mechanical is a massive entertainment spot located in a huge industrial building in Columbus, Ohio. They are famous for a large list of craft beers, imaginative cocktails, and all sorts of small ball games. 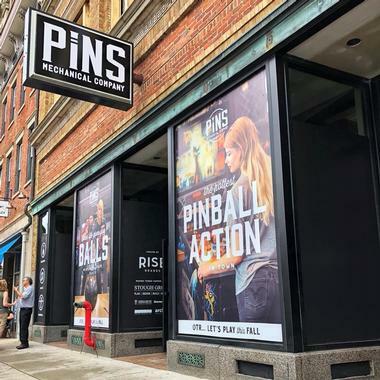 There is something for everyone: almost 100 classic pinball machines, giant Jenga, Shuffleboard, duckpin bowling, foosball, patio pong, lot of TVs, and two outdoor sitting areas with a fire pit. The bar serves a rotating list of about 50 beers on tap, 25 kinds of whiskey, and just about any other kind of booze you can think of. Kids are welcome during the day, but once it gets dark and the drinking starts, nobody under 21 is allowed in. They have two popular duckpin and pinball leagues every winter and summer. The food comes from rotating popular food trucks. 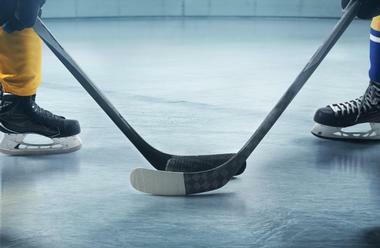 The Columbus Blue Jackets is a professional ice hockey team in Columbus, Ohio, a member of the Metropolitan Division, the Eastern Conference of the NHL-National Hockey League. The Blue Jackets were founded in 2000, and the team first time qualified for the Stanley Cup playoffs in 2009. They have never won a playoff series. The Blue Jackets play home games at the popular Nationwide Arena in downtown Columbus. The arena opened in 2000. The Blue Jackets are affiliated with the Cleveland Monsters. Every time Blue Jackets start a game, score a goal, or win a game in Nationwide Arena, their staff fires a hand-made replica of 1857 Napoleon cannon. It has so far been fired 164 times. 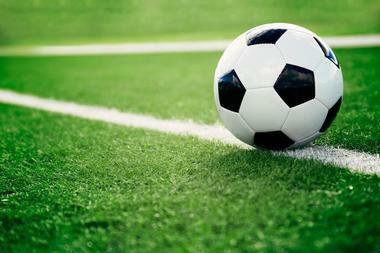 Columbus Crew Soccer Club is a professional American soccer club from Columbus, Ohio. The club competes in Major League Soccer for the league's Eastern Conference. Columbus Crew began playing in 1996 as one of the league’s charter clubs. The club's head coach is Gregg Berhalter, a former player of the men's national soccer team. Its franchise was founded in 1994 as the Columbus Crew and changed its name in late 2014. The Crew has played all home games at the Columbus Mapfre Stadium since 1999. It was the first stadium ever built exclusively for soccer for an MLS team. Its seating capacity is 19,968. Until 1999, the Crew played home games at Ohio Stadium on the Ohio State University campus. The Crew has won MLS Cup in 2008 and the Supporters' Shield three times in 2004, 2008, and 2009. In 2002, they won the Lamar Hunt U.S. Open Cup. Pins Mechanical Co., Photo: Pins Mechanical Co.